I think my mom still has this famed last magazine cover presence of Princess Diana. The pictures are still reminisced today. 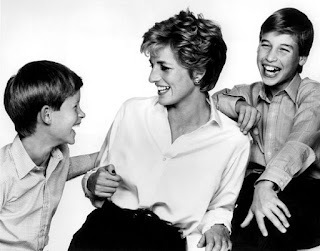 Today is the 10 year anniversary of Princess Diana's death. These shots really show her exuberance for life. All photos except cover from Vanity Fair. I agree with the first comment...I remember where I was and everything. She was pure magic. she is beautiful and gracious. i still remembered the day she died. Gosh...ten years goes by FAST....she was and still is such a legend. I can't believe it's been ten years already; it seems like it didn't even happen that long ago. I love the first photograph of her on the cover. She's such a beauty. My Mom adored her! She has so many books it isn't funny. I do have the magazine and I will treasure it always. I had the pleasure of visting Kensington Palace in 2000 where her beautiful dresses were being exhibited. 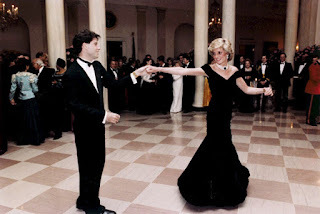 Diana represented beauty and grace -I admire her greatly. Due to overwhelming spam comments, I had to turn on word verification. Sorry for the inconvenience and hope you will still leave a thought! Please note: Amazon.com affiliate links occasionally used. All gifted (courtesy of) items will be disclosed and sponsored giveaways will be noted as such. Designed with love by JSGD. Powered by Blogger.